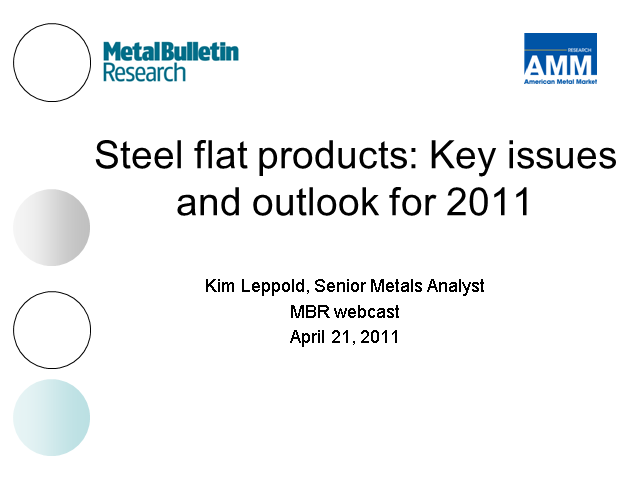 This webcast discusses how raw materials markets are affecting the steel flat-rolled markets and looks at how the inventory situation is going to affect pricing in 2011. It outlines measures that steelmakers have taken to improve the value of steel sheet products sold to tube and pipe makers as well as other industries. In addition we give an overview of flat-product pricing and the trends that have evolved since the recession and provide a forecast for prices through the rest of the year.